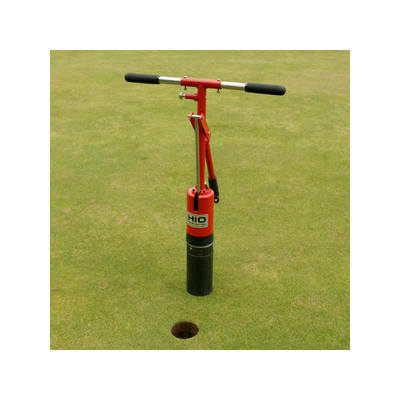 The HIO Hole Cutter is widely regarded as the best and most used pound-in hole cutter on the market. 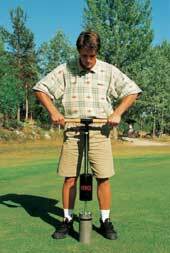 Superintendents worldwide have been won over by its precision, ease-of-use and time saving ability. To use simply pull the pin, lift the handle, and the hammer action drives itself into the ground. 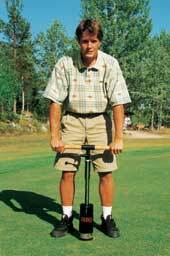 Reduces shoe marks on greens. Less cutting time than conventional cutters. New hole in 4-8 seconds! The cutter has the choice of two blades, dependent upon the ground type of your course. Sand blades are internally sharpened for loose ground. The clay blades are externally sharpened for more solid ground.